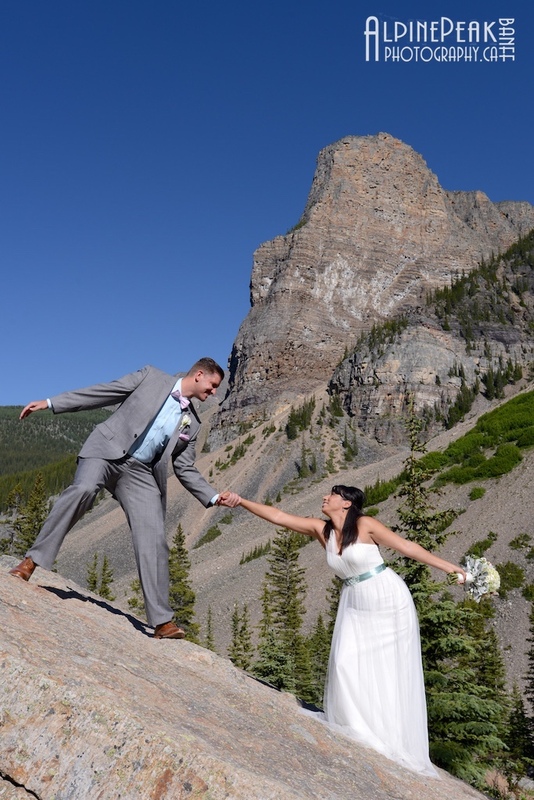 Alpine Peak Photography: Moraine Lake Wedding Photography, Gen & Mike climb the rock! Moraine Lake Wedding Photography, Gen & Mike climb the rock! We always have fun at our weddings! so they did a little rock climbing while they were here. Simply Magical Moraine Lake Package.